Sometimes you need to find out what is average response time of your website. Such information is very useful and can lead you to optimize and tune your web-server for better performance. In the article we will introduce you possibilities how to make benchmark of your web-server for free. Install the apache2-utils package to get access to ApacheBench. Now you are ready to run benchmark. To isolate any network latency, it is the best idea to run it locally on web-server you want to test. Let’s see how it performs for 5000 requests with a concurrency of 500. As you can see above, web-server was able to handle 5000 request in 25.905 seconds and 193.01 requests per 1 second. 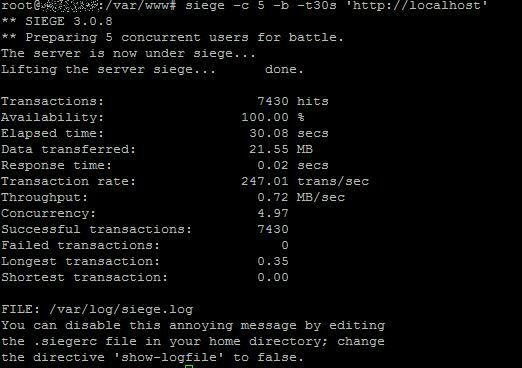 Siege is an HTTP load testing and benchmarking utility. It has a similar interface to ab, which will make transitioning to the tool almost seamless. Also, instead of testing against a single URL, Siege allows you to test against multiple. This allows for a more real-world simulation of how a user would use your system. 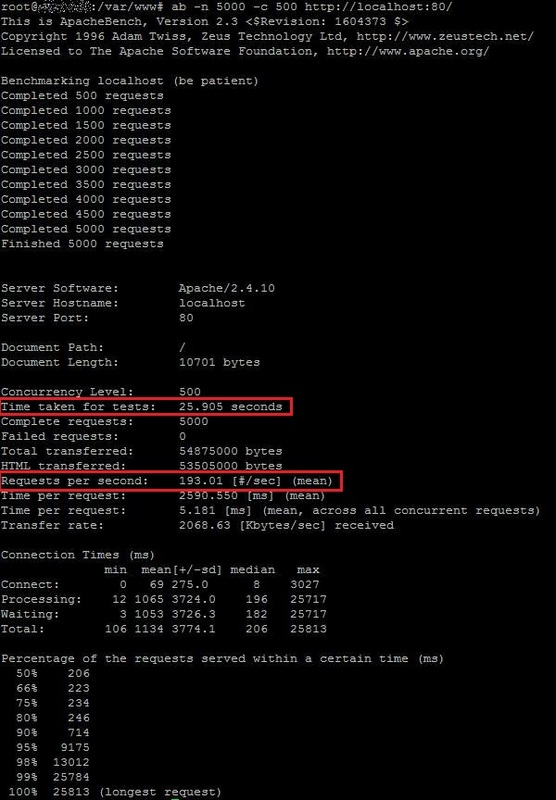 In the result, server has 100% availability and was able to serve 247.01 transaction/sec. jMeter is an Open Source testing software. It is 100% pure Java application for load and performance testing. jMeter is designed to cover categories of tests like load, functional, performance, regression, etc., and it requires JDK 5 or higher. Stefano Mazzocchi of the Apache Software Foundation was the original developer of JMeter. He wrote it primarily to test the performance of Apache JServ (now called as Apache Tomcat project). 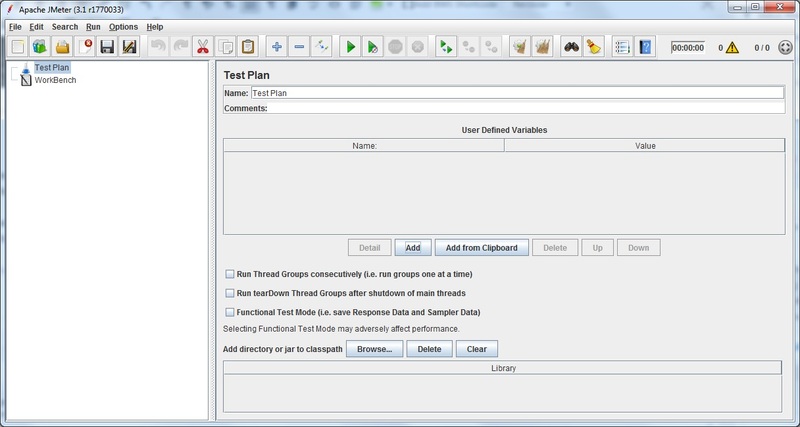 Apache later redesigned JMeter to enhance the GUI and to add functional testing capabilities. JMeter is a Java desktop application with a graphical interface that uses the Swing graphical API. It can therefore run on any environment / workstation that accepts a Java virtual machine, for example − Windows, Linux, Mac, etc. As it is quite complex tool, with many functions, you can find detailed tutorial how to use it here. You can download jMeter official tool here. One of the online tools which can be used for online benchmark and provide useful information. 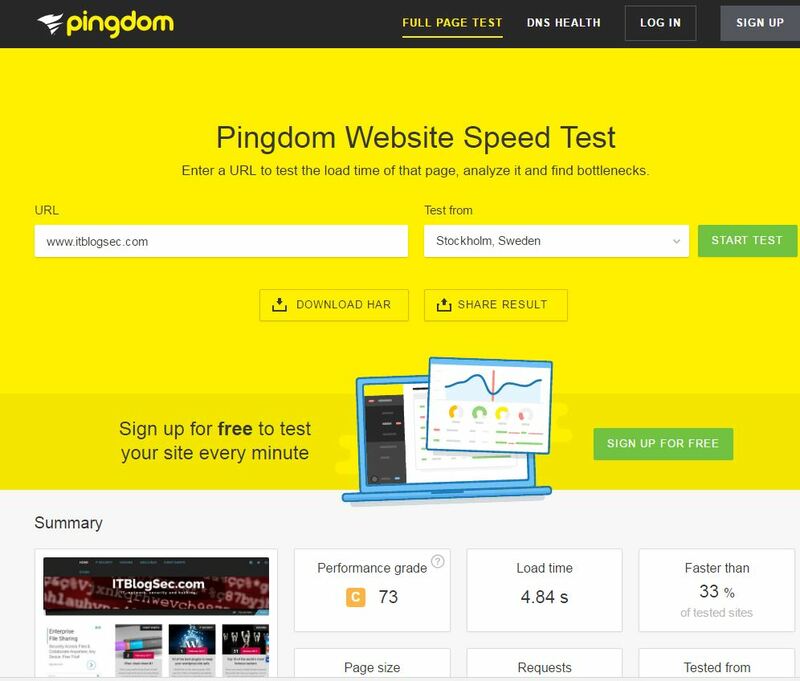 You can specify website you want to test and as results you can obtain load time, response code, content size, file requests etc. Feel free to use it here. Beware there are many free tools related with website (web-server) benchmark. Just use google and you can find many variations. As web administrator you should always pay attention to performance of your website. The best approach is to make benchmark periodically and try to optimize web-server for the best results. Good luck!